I’m a family doctor in Selah, Washington. I live there with my three children (Zach, Kate and Matthew) and wife, Heidi. When I was in 3rd grade, my family lived in Manila Philippines for 10 months. There my father, who was also a doctor, practiced medicine. That time forever shaped my life. In college and medical school, I went on short-term missions trips, but came home unsatisfied with our long-term impact. I saw patients receive 10 days worth of blood pressure medication, but no hope of further treatment. In 2008 I met with Harold Eberle who had helped start Heroes of the Nation alongside Andrew Sievright and Weston and Violet Gitonga. 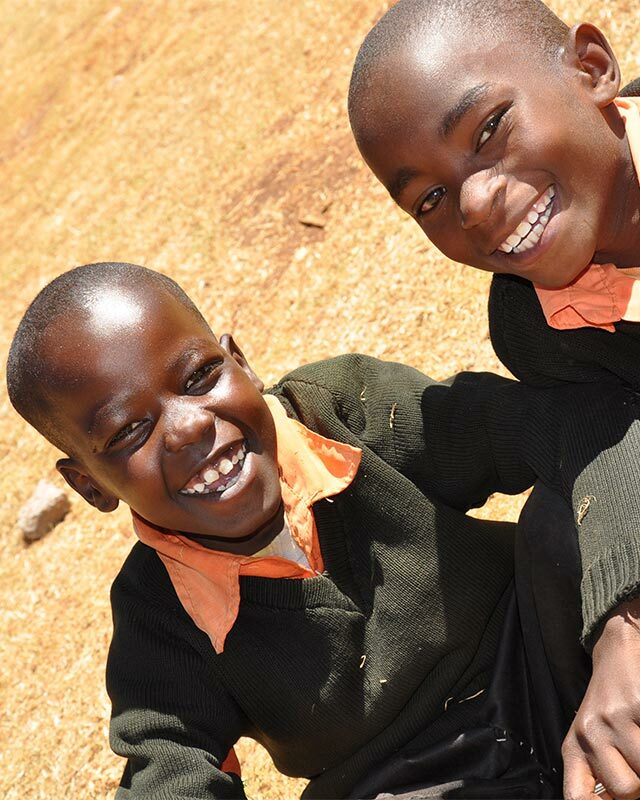 He took me to Kenya to see the orphanage/school campus and I fell in love with Kenya and with the children. I led a medical and youth team in 2009 which resulted in Yakima Foursquare Church raising funds to start a clinic. So far we have made 6 trips bringing doctors, nurse practitioners, nurses, physical therapists, and students to serve the heroes and surrounding communities. I have been blessed to take two of my children with me so far and hope they will have the same life-long love of serving God in mission work! I am a registered nurse in Washington and Oregon. I served in the United States Army from 1981 through 1989 and started my nursing career there after I had been a field medic for several years in a MASH unit. I have been a nurse for 31 years and I have done a wide variety of nursing, from pediatrics to geriatrics and from newborn to end-of-life. I have loved every minute. I have spent most of my career working in the community with patients and their families in home settings, schools, orphanages and rural areas. I had the opportunity to work with Dr. Ross Bethel through patients in our hometown and got to know him as a doctor first, and then as an amazing Christian and person. When he announced the first medical trip to HTN in 2008, I ran up to the stage and have been working on his team ever since. 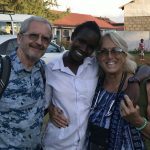 We have traveled to Kenya numerous times with medical teams. Each trip has been different, but it has been a privilege to provide medical care, love on children, and serve members of the community. I received a B.A. in Dental Sciences (for research and public/field work) and earned my Doctorate (DDS), both from UCSF. In 1997, I moved to Washington State; and then raised my sons in Everett before landing in Bellevue. After being unexpectedly widowed at age 35, I was encompassed with fear. I struggled as a single mother with poverty and homelessness; and, relied on God’s provision and the love and outreach extended by others. By the grace of God, I am now happily partnered and I have two sons I could not be more proud of! I have a passion for continuing dental education, envisaged by 300+ hours of continuing education and global public health outreach. I have worked as consultant and contributor to the Washington State Dental Quality Commission; as a participant of University of Washington; Hillsdale College; Stanford University; and FEMA-sponsored continuing ed. courses; and advisory to the development of Microsoft Vault software. 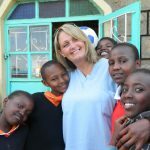 Furthermore, I have been blessed to be involved with a number of mission trips, including five dental trips to Mexico; Nicaragua; and Kenya. I am gripped by equitable health and dental care distribution issues; with particular focus on marginalized socioeconomic populations, and the intent of providing oral healthcare in underserved areas. I strive to find solutions to inequality of care distribution; and the dissemination of knowledge and resources for those in need. I lived in Kenya in 1994 for a year, and God gifted me with the proverbial “ah-ha moment” when I had the joy of returning to this beautiful country twenty-three years later with Heroes of the Nation. 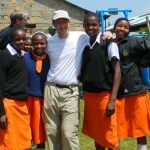 While in Kenya this year, I fell in love with the wonderful children and staff at Heroes; and the people of Kenya. However, I saw great dental/oral healthcare needs and felt concerned about the inability to provide acute care. I look forward to returning to share the breadth of God’s love; and the hope that each and every new day brings. In my spare time, I enjoy gardening; photography; traveling; and long walks with my dog (quiet time with God). I also enjoy being involved with church, CERT, and local food bank and women’s shelter activities. I graduated from St. Vincent’s Hospital School of Nursing in NYC’s Greenwich Village. I immediately entered the US Navy and served 35 years in the Nurse Corps as a Nurse Practitioner in the ER, Pediatrics and Family Practice on the East and West Coast, Japan and Hawaii where I currently reside. I completed my PNP at the U of Miami; my FNP at Sonoma State in CA and my Doctorate in Public Health at the U of Hawaii. I became the Navy’s leading researcher at the end of my career and has many publications on resiliency and Navy families before and during war. I have served on aircraft carriers in Iraq and Afghanistan. I retired in 2005 and became an Assistant Professor at the School of Nursing at the U of Hawaii in the APRN track. I am now is employed by United Healthcare and do House call visits in the homes of clients. Pat and I have been married 33 years, have 6 children and 7 grandchildren. We are currently awaiting the adoption of a teenage girl, Salome, from the Heroes of the Nation in Kenya.